First, this has nothing to do with the power of the Dark Side. The Supra Vaider men's skate shoes are a fresh upgrade on the Raider series, with a few new tricks up their... uh, well; they don't have sleeves. 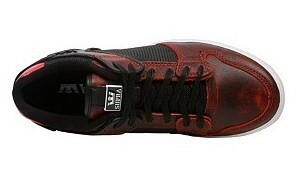 The Supra Vaider men's skate shoes do have a cool metal sliding tongue logo for extra style. We're not really sure if it has magical properties like mind control or levitation, but it sure looks swank. The Supra Vaider men's skate shoes also stepped it up with a vulcanized gum rubber outsole, letting you get maximum traction for critical maneuvers. 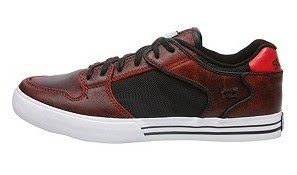 These high top skate kicks are made of durable leather and breathable mesh. 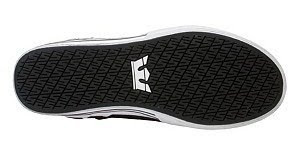 The SupraFoam midsole optimizes shoe flexibility and board feel while absorbing impact. We know the force is strong with you, and the Supra Vaider men's skate shoes will help you become the skateboard master you should be. 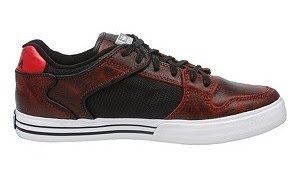 Embrace your destiny and look cool while you do it in the Supra Vaider men's skate shoes.